[T]he figure of the cross may not be used as a badge of the religion and profession of the Protestants…. [T]he papists regard the cross as the altar whereon our Lord was offered…. [T]hat which was execrable to our Lord, the sign of it should not be honourable to us. But so was the cross of our Lord; it made his death accursed; nor was it a pure instrument of meer [sic] martyrdom unto him. Bishop M’llvaine, “One Faith,” or, Bishop Doane vs. Bishop M’llvaine, on Oxford Theology (Burlington: J. L. Powell 1843), 71, Google Books. [The death of Christ] cannot possibly be represented by an image; and the very attempt to represent the sufferings of Christ in such a way shows that the person who does so, has false and degrading notions of the death of Christ—such as, in fact, show that he is no ChFor many ages, the Cross has been specially identified with the Church of Rome. Some of the ablest commentators have supposed it to be the ‘mark of the beast,’ so frequently mentioned in Revelation. It is indeed the public and private badge of Anti-Christ. It is carried before the Pope wherever he goes…. From the earliest beginnings of the Papal power, the apostasy has existed under the form of religion and with the very emblem of the crucifixion. It is not without reason, therefore, that the external mark of Popery has been thought to be the ‘mark of the beast.’ristian…. [T]he cross is one of the great bloody idols of the church of Rome; and has occasioned, I suppose, a greater waste of human life than any one idol known in the heathen world. William M’Gavin, The Protestant: Essays on the Principal Points of Controversy Between the Church of Rome and the Reformed vol. 1 (Hartford, 1833), 496, Google Books. [The cross] is painful, and even revolting, to see it employed to serve the purposes of vanity, frivolity, and worldly fashion. The representation of a gallows or a guillotine would form a very ghastly ornament. To me, the cross in that character seems more unbecoming still—not to speak of its startling impiety…. The cross on which our Saviour hung represented the curse of God…. The cross therefore represented sin, wrath, suffering, and death then. It cannot represent anything else now, and therefore it signifies the triumph of Satan rather than the triumph of Christ. Christ’s triumph was accomplished at His resurrection, and the triumph of all His believing people in him…. And his believing people live in Him. Their subject of interest therefore is life, not death…. Why should I, a living resurrection member of God’s family, go back to the cross for comfort and inspiration? It speaks to me only of my shame and ruin. S. A. Walker, The Remembrancer, ed. Reverend William Lush (London, 1873), 78, Google Books. John Hampden, “The Cross as an Ornament,” The Voice Upon the Mountains vol. 2 (1 May 1869), 57, Google Books. Ryan K. Smith’s excellent book, Gothic Arches, Latin Crosses: Anti-Catholicism and American Church Designs in the Nineteenth Century, shows just how controversial this symbol previously was, and how Protestant attitudes eventually evolved to a general acceptance of the symbol by the 1860s and 70s. Being aware of the common aversion to the cross that existed in the early years of the LDS Church’s development, many LDS scholars had proposed that early Mormons simply mirrored these views of their Protestant contemporaries, and they further assert that they (early Mormons) held on to the anti-cross tradition longer than Protestants simply due to the fact that they were isolated in Utah when Protestantism had become more accepting of it. I started with this theory as I began my study of this topic—a study that was eventually published as a book titled, Banishing the Cross: The Emergence of a Mormon Taboo (John Whitmer Books, 2012). The theory seemed to make sense, since I too was well aware of the common early American Protestant aversion to the cross, as well as early Mormon anti-Catholic sentiment. But while searching for evidence to support the assumption that early saints had initially rejected the symbol of the cross, I couldn’t find any. So I contacted several scholars who had promoted the aforementioned theory, asking them for evidence. They couldn’t give me any. I dug some more (I did a LOT of digging)… and still couldn’t find any. Surprisingly, the earliest statements against the cross that I found in Mormon culture dated between 1877 and 1881. In contrast to this, I found several examples of early Mormons actually promoting the symbol of the cross. Therefore, I eventually decided it was best to rule the theory out. I then asked myself, “Why would Mormons repeat the same anti-Catholic polemics as protestants (identifying the Catholic church as the ‘great abominable,’ ‘church of the devil,’ etc. ), and yet omit any direct criticism against the cross?” I additionally asked, “When and why did LDS attitudes toward the cross change?” It is when I asked these questions that new information seemed to fall into place. 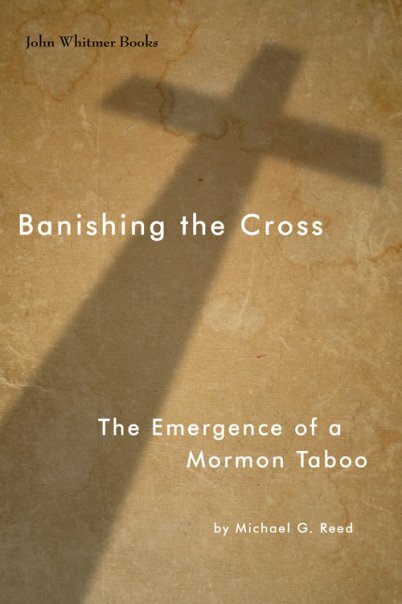 According to the evidence I have gathered, and as I argue in my book, the cross taboo was more of a late development in Mormon history, emerging at the grass-roots level around the turn of the twentieth century, and later being institutionalized as protocol in the 1950s under the direction of Prophet David O. McKay, on grounds that it was a Catholic symbol. 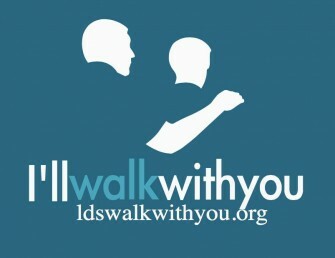 Latter-day Saints have since justified their aversion to the material/visual symbol by recycling Protestants arguments from previous generations. Prior to this development, early Mormons were found to be quite comfortable with the cross. In fact, in 1916 the Church even petitioned the SLC Council to erect a cross monument on Ensign Peak—a proposal that (after great controversy) eventually failed. If you would like to learn more about the development of the cross aversion in Mormon culture, I invite you to read my book. Michael Reed earned his BA and MA from California State University, Sacramento. While at CSUS he wrote his MA thesis on “The Development of the LDS Church’s Attitude Toward the Cross,” and has published an expanded revision of that thesis through John Whitmer Books entitled Banishing the Cross: The Emergence of a Mormon Taboo. Michael is now finishing his doctorate in the History/Christianity program at Graduate Theological Union, Berkeley, where he is focusing much of his research on American religious history, ritual studies, and esoteric studies. Michael’s research interests further include Mormonism, freemasonry, folk magic, universalism, treasure seeking, theosophy, material culture, and American transcendentalism. Thanks for posting some of your research here. 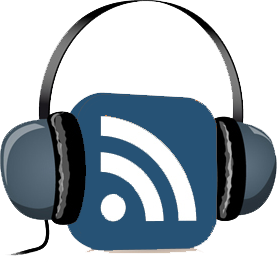 I have read much of what you have written and listened to you on at least one podcast concerning this subject. It was a surprise to me, given the culture of the modern LDS Church and its taboo against the cross, to learn that it was not always this way. Thanks again for your excellent research in this area!